The Give Back Crew made up of adult advocates from the FACT group (Fayette Advocating Change Together) and the Fayette County Board of Developmental Disability’s Community First Division continue their “Give Backs” to the community. The advocates also had the privilege to give back to the Carnegie Public Library. Our local library offers many activities to the Fayette County community and is also a partner with the FCBDD. The Next Chapter Book Club, a club for people with intellectual and developmental disabilities, meets weekly at the library where they get to know one another, discuss the books they read as well as their personal interests, and select the books they would like to read as part of this club. For more information about volunteering with the Next Chapter Book Club or about any of the programs or services provided by Fayette County Board of DD, call 740-335-7453 or visit www.fayettedd.com. The Give Back Crew recently visited the the Carnegie Public Library. Pictured from left to right are Chuck, Buffy, Aaron Teeter, Diana and Sarah Nichols. 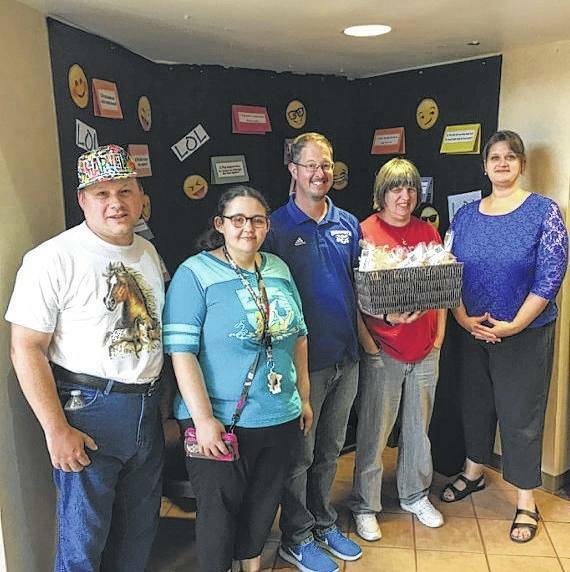 https://www.recordherald.com/wp-content/uploads/sites/27/2017/09/web1_IMG_0723.jpgThe Give Back Crew recently visited the the Carnegie Public Library. Pictured from left to right are Chuck, Buffy, Aaron Teeter, Diana and Sarah Nichols. The Give Back Crew also visited Fayette County EMS. Pictured from left to right are Tony Kegg, Chuck and Jeff Warner. 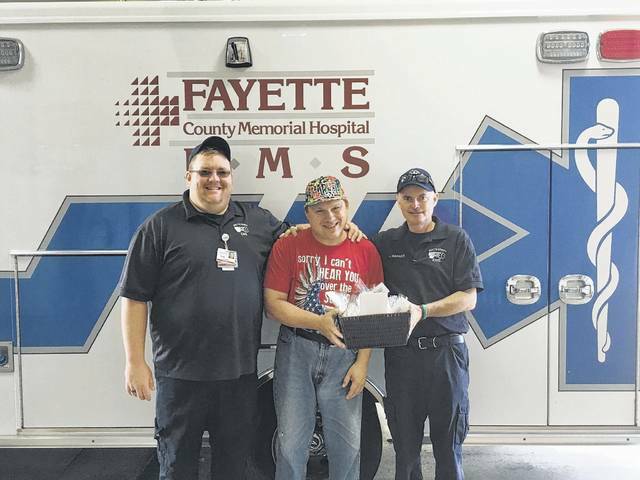 https://www.recordherald.com/wp-content/uploads/sites/27/2017/09/web1_IMG_0658001.jpgThe Give Back Crew also visited Fayette County EMS. Pictured from left to right are Tony Kegg, Chuck and Jeff Warner. The Give Back Crew also paid a visit to Fayette County Memorial Hospital’s emergency department. Pictured are Chuck and Kathy Yokum. 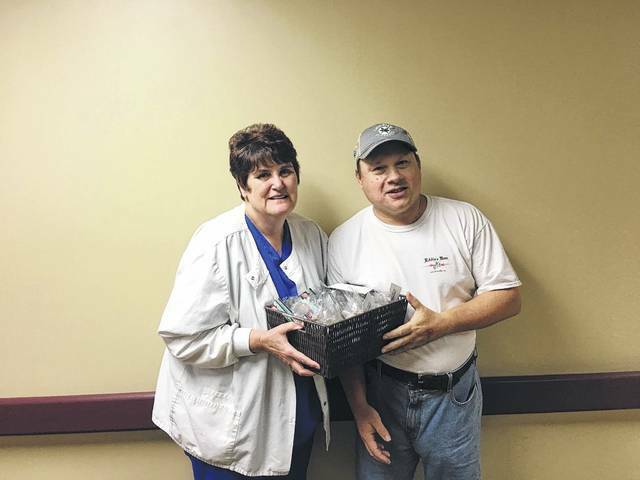 https://www.recordherald.com/wp-content/uploads/sites/27/2017/09/web1_IMG_0653001002.jpgThe Give Back Crew also paid a visit to Fayette County Memorial Hospital’s emergency department. Pictured are Chuck and Kathy Yokum.